We will only have enough product for 32 players so pre-registration is encouraged. Each player will receive 5 Booster Packs of Dark Neostorm and a special promo to build your deck with. The number of rounds we will play will be 3 regardless of attendance. • A Minimum of 20 cards must be used for the Main Deck. • Pendulum Monsters must go in the Main Deck. • Link Monsters must go in the Extra Deck. • All cards not used in the Main Deck are automatically considered to be a part of the Side Deck. 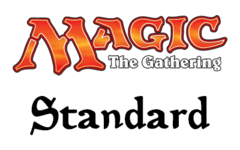 The usual 0 – 15 card Side Deck rule does not apply. • All Synchro Monsters, Fusion Monsters, Xyz Monsters, and Link Monsters must go in the Extra Deck. • Players start out each game with 8,000 Life Points. • Players play a Best 2-out-of-3 Match against an opponent to declare a winner. • Unlike Constructed Decks, Sealed Decks have no restrictions on the number of any specific card in the Deck. A player may include as many copies of any card he or she likes, even more than three, provided all copies of those cards were obtained only from the product given for Deck-building in that event. • In between games of a Match, you can add, subtract or exchange cards from the Main Deck with cards in the Side Deck. Main Deck size cannot be less than 20 cards. Players may not trade the cards they received in their product with other players until they are done participating in the Sneak Peek. Players may not add cards they already own to their Sneak Peek Open Dueling Deck. Only the Promo and the cards pulled from the Booster Packs provided for that player at Registration may be used for Deck building. Using cards not obtained in the product directly given is considered cheating.